With over 3.19 billion social media users worldwide in 2018, social media has become an important communication channel for brands. Many brands acknowledge the dynamic marketing capabilities of social media. They are using social media platforms to raise brand awareness, engage people, acquire new customers, and increase conversions. 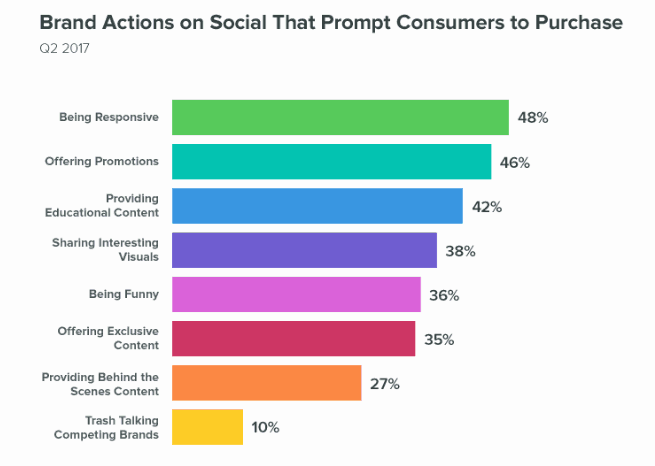 According to the Q2 2017 Sprout Social Index, engaging with customers on social media can prompt them to make a purchase. 48% of consumers are more likely to make a purchase when you answer their questions on social media. And 46% of them value promotions and contests, while 42% of them would convert if you provide educational content. And, if you’re a B2C brand, the interactive nature of social media makes it easier for you to connect with, engage, and convert your audience into loyal customers. All you need is an effective B2C social media marketing strategy to market your brand, products, or services. But how can you develop an effective social media strategy when you don’t know which channels to choose? With over 200 social media channel options, including a dozen mainstream channels, it may seem difficult to determine the right channels for your brand promotions. Which goals do you want to achieve with social media marketing? Do you want to improve brand awareness or generate leads? Which channels does your target audience use? What kind of content do you plan to create? Will it be more of image-based content, blog post links, or video content? Which channels are your competitors using? How many social media channels can you manage? Once you have answers to all of the above questions, you will be in a better position to make your choice. The right social media channels for your brand promotions will mostly depend on the nature of your business and your target audience. To further help you craft an effective B2C social media marketing strategy for your brand, I’ve put together a list of seven of the best-performing social media channels. B2C marketers are using the leading social media channels to grow their brands. Many of them are trying to cover all of the mainstream channels like Facebook, Twitter, and Instagram. Let’s take a look at the leading B2C social media marketing channels, and how they can help your brand grow. Facebook was the first social network to surpass 1 billion registered accounts. And it now has 2.2 billion monthly active users. 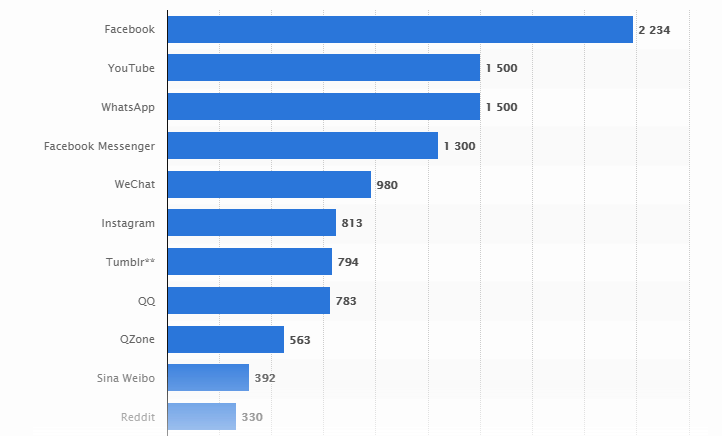 It is the most popular social networking site worldwide as of April 2018, ranked by the highest number of active users. 97% of B2C marketers use Facebook as it provides them with a plethora of organic and paid opportunities for B2C social media marketing. Facebook offers endless engagement opportunities by encouraging your audience to like, share, and comment on your posts. You can leverage a variety of posting options such as images, videos, blog posts that link back to your website, carousels, polls, and slideshows. It also allows you to serve highly-targeted ads to people based on specific demographics, location, interests, and more. Along with improving brand awareness, post reach, and engagement, Facebook provides you with valuable insights on your campaign performance. This makes it the most-used social channel for paid promotions, with 93% of marketers running paid Facebook campaigns. If your B2C social media marketing goal is to raise brand awareness, build a community, provide customer service, or promote online selling, Facebook can be a great choice for your campaign. 65% of marketers leverage Twitter for B2C social media marketing. Known for tweeting short messages, it is an ideal platform for engaging consumers with a series of tweets, retweets, and hashtags. Many brands use Twitter to provide effective customer care solutions over social media and building customer loyalty. B2C brands are turning to Twitter to provide their customers with precise recommendations. They also troubleshoot issues, solve grievances, clear refunds, and satisfy consumers with prompt responses. Twitter is also becoming a prominently-used social media channel during events. Users are finding it fun to engage with others through live-tweeting at events such as sports events, political events, and television airings. The 2016 U.S. Presidential Elections created a major buzz on Twitter, for instance. Twitter has become one of the most relevant platforms to engage the masses before, during, and after an event. Which is why several B2C marketers are using it to drive engagement for their hosted or sponsored events. With over 800 million active users worldwide, Instagram is most popular with teens and young millennials. In fact, 41% of Instagram users are 24 years of age or younger. 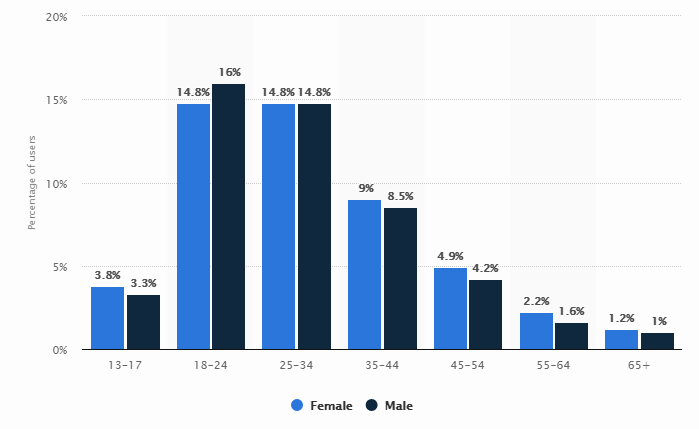 As of April 2018, it was found that 14.8% of global active Instagrammers were women between the age group of 18-24 years. Perhaps that’s why it has proven beneficial for fashion and beauty brands to execute B2C social media marketing. 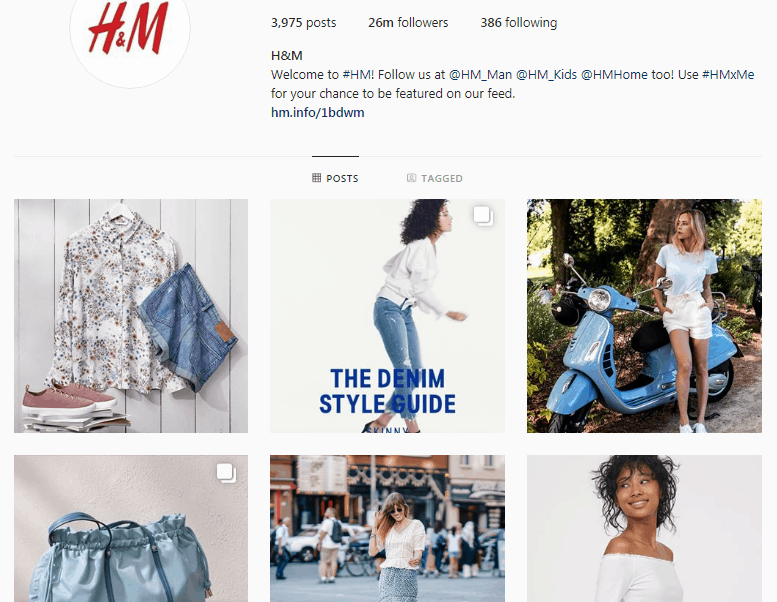 On top of that, Instagram’s visual nature and high user engagement rate make it easier for fashion, beauty, and retail brands to do promotions. Swedish multinational clothing-retail brand, H&M, showcases their products with impressive images on Instagram. While 60% of B2C marketers use Instagram, 11% of marketers reported it to be the most important B2C social media marketing platform for their business. If your brand is particularly visual, investing more time and money into Instagram can help you drive huge engagement. You should also consider leveraging different types of influencer collaborations on Instagram to boost conversions. YouTube is the biggest online video platform worldwide with around 1.5 billion users worldwide. It has become a popular video marketing channel with 46% of marketers using it to promote their B2C brands. YouTube allows you to engage users by posting a variety of content types such as “how-to” videos, advertisement clips, video blogs, short original videos. There are also reviews, testimonials, and videos focused on educating viewers about a particular topic or product. When publishing YouTube content, you should make sure that it is original, interesting, funny, or provides some value to the viewers. 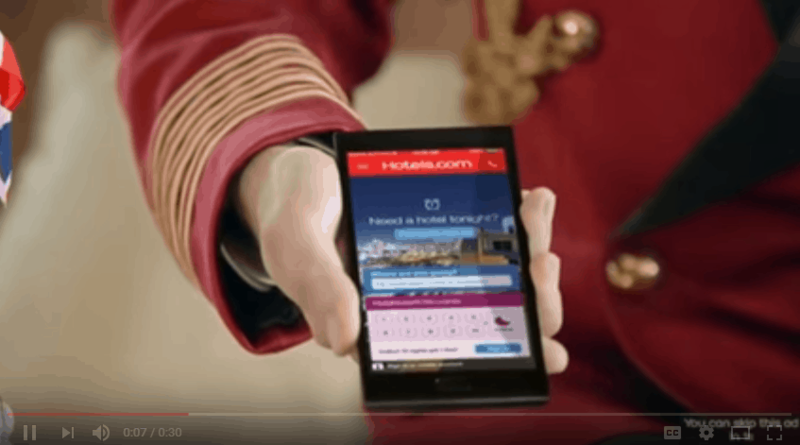 Hotels.com cleverly utilizes a humor element in all their ads. In one of their ads, they decided to have fun with the “Skip this Ad” button on YouTube. While they purchased a non-skippable ad, they allow users to believe that it is a skippable ad. When their viewers clicked “Skip this Ad” button. They’d see everyone in the ad literally skip. Here’s a demonstration video of what a YouTube viewer would experience while watching their ad. While LinkedIn is a more appropriate marketing channel for B2B businesses, 44% of marketers are also using it for B2C social media marketing. Many B2C marketers are capitalizing on this professional network with great content. 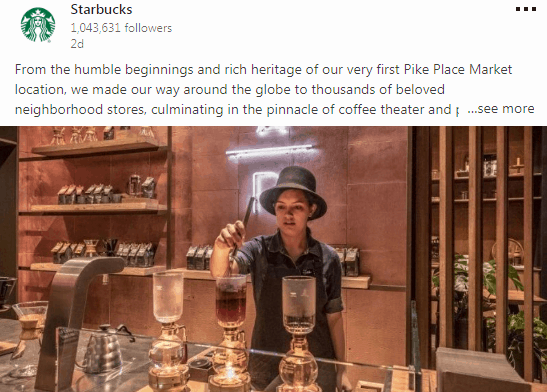 One such brand is Starbucks, which efficiently used its LinkedIn company page for selling coffee, building a community, and garnering customer loyalty. They please their audience with thoughtful, interesting posts and some seasonal promotions too. While publishing on LinkedIn, you should remember that the users spending time on this platform are mostly looking for high-quality, professional content. They are likely to be interested in reading about work, sales, skill development, or enhancing their knowledge. A direct product pitch or sales announcement won’t fit this space. Instead, you should relate your update, sale, or product to their day-to-day activities, thoughts, or concerns. LinkedIn can be an ideal B2C social media marketing channel for your brand if your target audience is a working professional, highly-educated, and 30-55 years of age. And it is likely to work if you’re offering highly-priced products and services. Pinterest was the fastest independently launched website to reach 10 million unique monthly visitors and now has over 200 million monthly active users. Although it receives mixed opinions as a B2C social media marketing channel, posting quality content on Pinterest can help you improve your SERP rankings. It is an ideal platform for promoting brands related to fashion, art, beauty, cooking, DIY, design, home decor, or travel. Pinterest works wonders for brands with a predominantly female target audience. 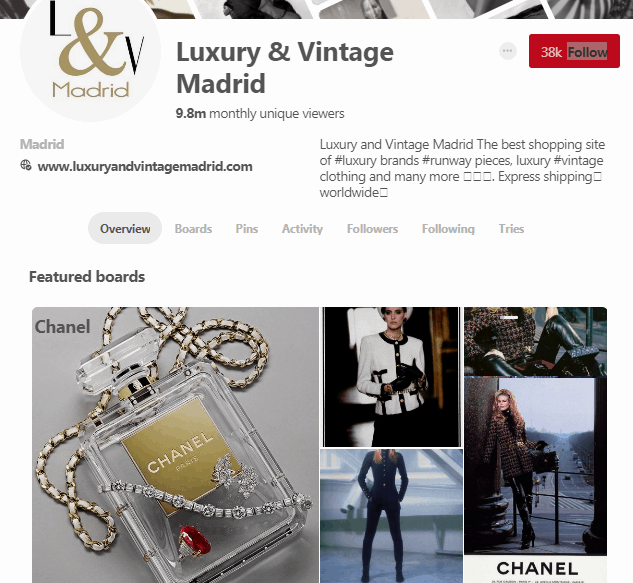 Shopping site, Luxury and Vintage Madrid, has 38k+ followers on Pinterest and it receives 9.8 million monthly unique viewers. The best way to engage your potential customers on Pinterest is by creating multiple Pinterest boards and sharing valuable content consistently. Make sure that you use a lot of images that link back to your brand website. Snapchat is a relatively new social media platform with only 8% of B2C marketers using it for brand promotions. With over 1.66 billion daily active users worldwide, Snapchat is the most popular social site among teenagers and young adults. Initially launched to share impermanent pictures via private messages, Snapchat now allows you to create a variety of multimedia messages including a photo or a short video. You can edit them with text, filters, or stickers too. The platform receives a notable daily video user engagement as well. If you’re a brand that wants to target millennials, this could be the right platform for you. In fact, some visually strong brands related to fashion, beauty, sportswear, or short and interesting web series are already adopting Snapchat marketing trends in their B2C social media marketing strategy. Netflix launched a Snapchat campaign before airing their “Gilmore Girls” series. The video-streaming site took over 200 coffee shops to recreate the fictional cafe, Luke’s, from their series. 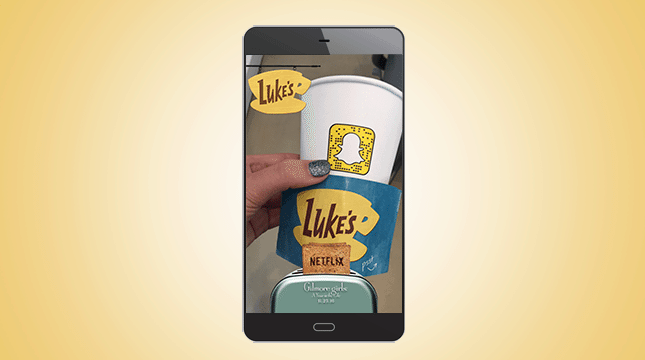 These cafes gave away free coffee in Luke’s branded cups with Snapcodes that allowed users to use a custom filter. This campaign by Netflix reached over 500,000 people, who viewed their custom filter 880,000 times. However, it has yet to prove its effectiveness as a B2C social media marketing platform. In this post, I covered seven of the major social media platforms that B2C marketers are using, and how you can drive the best results using each of them. Do you consider some other social media channel important for marketing your B2C business? Let me know in the comments below.